Edit 1/9: These changes are now live! Combat Revisions are right around the corner, and I wanted to give y’all a full update of what’s upcoming within it! The team and I are really excited for these changes and want to make sure you get the best out of them too! Let’s go ahead and dig into each piece of the combat puzzle. Before runes, stars were one of the biggest impacts you could make to a character, short of ascensions. With the current system in place, Stars impact can be diminished and we wanted to properly rebalance it. The first thing we did is move the Hero Star Bonus outside of the base, so that it’s clearly visible. Additionally, we’ve moved where the Star bonus is applied in the formula so that it now affects runes, too, like epics. Damage Reduction has always been in a weird spot in Dungeon Boss in that we’ve had two categories of Damage Reduction, generic DR from runes, and DR from other sources. Generic Damage Reduction from runes (the DR that appear on a hero card) was always capped at 50%. However, both DR from other sources (passives, DR from runes that only applied in certain situations) and total DR was uncapped, meaning it was possible to have heroes taking no damage at all from attacks. Furthermore, Damage Reduction felt insignificant in doses that weren’t 100% or close to that. This resulted in a stat that could go from underpowered to overpowered very quickly. We felt that this was both unfun for players and unhealthy from a balance perspective, so we’ve made some significant changes to how the stat works. 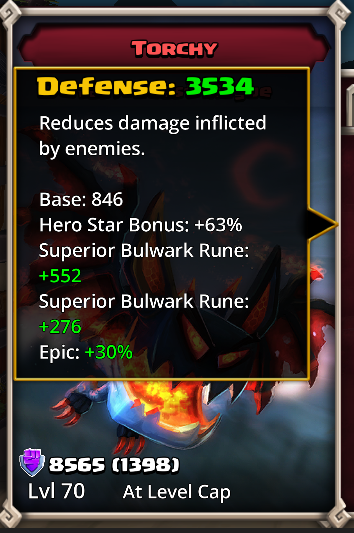 Generic Damage Reduction from runes (the numbers that appear on a hero stat page) has not been changed. It is still visible on the hero card, still stacks additively, and is still capped at 50%. Previously, all other DR also stacked additively, and total DR was uncapped, that is no longer the case. All Damage Reduction that isn’t generic DR from runes now stacks multiplicatively, and total Damage Reduction is capped at 90%. DR still retains a powerful edge, we have altered the way the stat works in our combat formula to make the stat more meaningful than it was before. We feel that lowering the stat’s “ceiling” by removing the possibility of 100% DR while heightening the stat’s “floor” by making it more impactful in our combat formula will put Damage Reduction in a much healthier place. While making the previously mentioned changes to how Damage Reduction works in our combat formula, the “Damage” stat was naturally impacted. You can’t have one without the other! In the process of our tinkering, we realized that the name and concept of the “Damage” stat felt awkward. The word “Damage” was used both as the name of stat in the combat formula AND the numerical result of the combat formula. That’s super confusing! Since we were already making changes to how stats in the combat formula work, we thought this would be as good a time as any to rename the term. 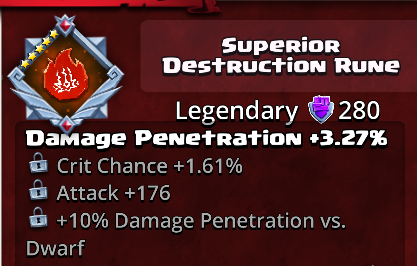 Introducing… Damage Penetration! All runes that increased “Damage” now say “Damage Penetration”. Part of our changes resulted in the stat’s numerical value of being inflated a bit, so you will see an increase in generic Damage Penetration on your runes as compared to what they were previously. The proportional increase is consistent across all runes. In addition, we have increased the stat’s cap from 30% to 50%. The numbers for specific Damage Penetration on runes (vs. Goblins, vs. Nature, etc.) will not be changed and remains uncapped as it has in the past. We have put an arbitrarily high cap on total Damage Penetration Multipliers, (40x in fact!) but do not expect players to reach that cap. All Damage Penetration has stacked additively in the past, and will continue behave that way. The Attack stat on runes were weighted higher then any other rune. We toned this down, but ATK absolutely remains a vital stat. We want to have a wide variety of options for a player to rune their heroes with, rather than just stacking one stat as the “optimal,” this opens a wider variety of choice to the player. By balancing Attack and Defense along with Damage Reduction and Damage Penetration, we think we’ve found a combat formula that will make the game a lot more interesting! The last thing that we’ve modified is healing. We had a mixed bag of heals for a long time in Dungeon Boss, some people healed a flat value, some healed for a percentage of a Character’s health. Almost all our healing at the high end of the game healed for 100% of a character’s health, and made very little sense for a player to invest in healing or skill on a healer. For the most part we’ll be unifying our heals to a flat value per heal as opposed to a percentage value. Second, heals are now distributed over turns and number of targets. A Heal over Time (HoT for short) or a multiple target heal will now heal for less than a single target heal. It only takes into account one or the other. For example, if Nub Nub casts Voodoo Chant on his team, the initial heal is split between all allies. Each heal after that is split up over the duration of Voodoo Chant’s status effect.) This change, while big, should allow healers to contribute in a meaningful way while not being overbearing in our new combat experience. With these changes, it will be noticeably better to evenly mix a few stats with runes, rather than focusing all ATK or all Damage Reduction. We expect this will provide the variety within rune builds that will allow players to truly stand out and create their unique builds for each character! Heals now heal for a flat amount, split between allies/durations. Fixed an issue with Ella’s Blood Ritual where she’d kill herself with it. Ember’s Cauterize now heals the lowest person twice if they’re targeted. Fixed Deal with the Devil to return the proper amount of health. All active ability tooltips should now display healing amounts. Fixed bugs with Ember’s “Perpetual Flame”. Ella’s “Blood Ritual” no longer fully heals ally, instead heals flat amount. Augustus’ “Lay on Hands” no longer fully heals an ally at level 60, instead heals flat amount. It still buffs defense from then on though! Epic Shatter Team now calls out that it's a lifesteal instead of heal. Dagrund’s Epic now states that it's a lifesteal instead of heal. Daeris’ “Vampiric” Arrow Barrage, Shadowblade’s “Vampiric Shuriken” now explicitly say lifesteal. Icebloom’s “Unbreakable Heart” and Hansuke’s “Parry”, now properly blocks combat damage. Marrow’s “Lure” now heals once independent of the number of buffs purged. Leonidus' Skill has been increased. 40% health boost in PVP has been removed. While we are very confident in this revamp, it would be foolish for us to say that it will make everything perfect. As the dust from this overhaul settles, we will be looking out for specific heroes and abilities that need further balancing and will make changes if we feel they are necessary. Any chance we will get a free rune-unequip for like3-5 days in length while we play around with the new stats? How will these changes affect the PvE experience? Are we going to find ourselves dealing notably less damage to enemies (because of the changes to the attack stat on runes)? Overall, I'm pretty excited for this, even if it feels a bit overwhelming. So does this mean the same group heal used when 2 people are left alive will be more effective per person then when 4 people are left alive? more diverse stats equals less attack and more defense. 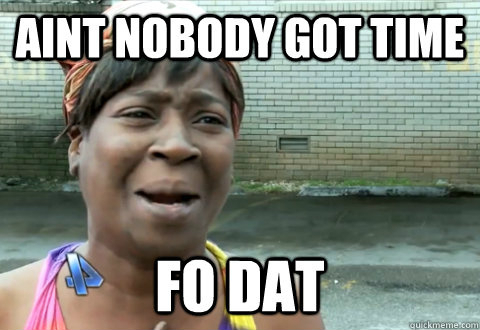 You toned down attack on top of that. I don't see any of this as bad with the exception of really really long PVP battles which I thought were long already especially with solaris and Zomm. Please Please Please add a 3x. 2x actually seems like the normal speed now while 1x seems like slow motion reverse. Love the sound of the changes. One concern: We’ve spent a significant amount of time and gem savings crafting runes and/or grinding out pvp runes. These are largely either double attack or dmg reduction runes. If these are no longer going to be optimal, there really should be some kind of rune trade in program where we can exchange some number of crafted runes in for either the gems back to craft new (or give equivalent runes with stats of our choosing). I’m really looking forward to the new combat, but if I suddenly find out that I spent tens or hundreds of thousands of gems on runes that I no longer want to use, I’m probably not going to bother rebuilding. Interesting. I hope Yasmin’s Team Mend was buffed and Aegis Bandage nerfed. Will have to test. Prior, there was no reason to use Team Mend at all - especially when you had her Epic. While we’re at it, maybe buff Yasmin’s Team Mend to also buff team Defense, like how Ember’s Team Heal buffs Attack? Would actually make it a good ability to start with in PvP. Overall though, incredibly good changes! A long time ago, we were also promised that level-based miss chance was (finally) also going away with this combat revamp. I don't see that listed anywhere in your post, @Joel. Is it still happening? - Spent too long working out what rune combinations and synergies I know..don't have LINE (so not much communication with guildies) and the great people who originally helped with videos have gone. Afraid that it will take me a looooong time if the few things I relied upon suddenly no longer work. Gonna take me a lot longer than many to figure 'em out. - Worried about heals being nerfed too much - time will tell. They paid to be better than you. If they did it your way, they would be making donations to make no progress because everything would be relative. Changes look promising and interesting. I still would like to see DR at 100%. There are many heroes that can remove DR buffs (ie Haunted, Fear) and am thinking this will remove an interesting element of the battles / some unique heros. "Then" and "Than" are two different words. "A" and "E" aren't even close enough for it to be a typo. Did you guys remove the award window that pops up in PVP when moving up league tiers ? I went through two Champion tiers without getting a notice (I think I got the Honor bonus though). @darthstupid Your account tripped over a weird bug that results in your trophies being set too low at the weekly reset. As an example, anyone over 40k trophies gets reset to 20k at reset, or if you have less than 40k, your trophies just get cut in half. Many players have been reporting (over the last few months) being dropped to 5k instead (and, in the last two weeks, to the low low 1250 trophies. If you are one of these unfortunate souls (you are), you will need to win 100+ raids to get back to where you should have begun the seasons. Unfortunately, you won't receive any awards as you do so, as the server knows you should have started higher in the season. Contact customer support. They're the only ones that can get you the compensation you'll need to fight those 100-150 raids again because they can't simply restore the missing trophies to your account. Hey instead of mucking around with the combat system that you broke by adding Solaris and Goretusk, why not fix the graphic bug where you can’t use zomm to brain eat Solaris’ ashes because there are too many big graphic beasts in the way. The runes you have are still useful. You just won't necessarily want to stack them. Make new runes to replace, then distribute the excess to other heroes and create a deeper pool of serviceable heroes. @Joel, any word on if roster power in PVP will become less relevant in matchmaking with this revamp? Look Ma! Blue text! Made you look! Seriously tho - I for one am happy the time was taken to think this through. The changes sound promising, however I urge caution on how it is deployed. A little game you may have heard of called World of Warcraft also strived for balance and introduced something called...(drum roll)... armor penetration! Result: mass exodus from the game, including me. The large number of people who had reached end game \ epic status had to completely rethink everything. Zero opportunity was given to test changes "free of charge". The time and in-game resource needed was too much to shoulder. As most of us know, the pending DB changes have already sent some top players packing, not because the changes are not good, but rather because of the work to relearn what had already been mastered. I humbly suggest a full season of free rune unequips to provide enough(?) time to feel-out the changes, theory craft and have fun adapting. A single day is a slap in the face, especially to those who work and may only get a very small window to play. Doing so would be extremely well-recieved in the community and help keep crusty old players like me engaged. I would love to see a source on this. Armor Penetration had been in WoW since Vanilla Classic patch 1.10 and was only removed when Cataclysm came out in patch 4.0.1. Perhaps you meant there was a "mass exodus" when they removed a stat? Of course that would be completely untrue especially given it was between expansions, but I'm curious none the less. Hey guys since there's nothing that can possibly be done to please endgame players because you know, you've done everything in the game...what do you want...make a new account and play the game with the new portal and combat changes. The game will.have a different flavor this time through and when you get to 70 again you just quit and start over! I’m not sure how you can know this, since we don’t know exactly what the new formulas are yet. What if every slot you had an att/att power rune is now better off as a dmg pen/att battle rune? What if dmg reduction and dmg pen end up working out such that a bulwark or life rune is always superior to the planning runes that most top end pvpers invested tens of thousands of gems in? They are. That’s kind of the point. All of the top players have invested a ton of resources into crafting 10% planning and tactics runes. They’re no longer spending. So let’s turn the equation on its head and make it so that the most desperately pursued rune type that everyone has crafted is worthless and they’ll need to spend more building up their army of Life Runes instead. Give them another 18 months and they’ll bring back resist runes and make resist the hottest thing and the one to craft now. Matt - I think you are correct - thank you. While armor pen was a pain when intruduced, its addition was in an earlier patch. My exit was due to some other revamp that ocurred at a time when Pandaria started to collect some dust. My point remains the same - many of us lived through other game revamps that were far from "fun". Time and resource were needed to figure out how to adapt and nothing was provided to help us through the change. One would hope past lessons like these would lead to better decision making today and in the future. This revamp could be serious fun if we are given some time to test drive it. I am wondering if the Level Capped abandon has anything to do with this....After tons of gems and materials spent to make planning or tactics rune with -10% what are we supposed to do with those runes? Throw them in the trashcan? Let's consider that when you sacrifice a rune you don't even get back any material spent....Thinking about starting all over again could be really frustrating!